As I attempt to write a blog post while cooking a Pad Thai, I realise that this semester hasn’t gotten any less busy since my last update here; as my Grandma would say, “there’s no rest for the wicked”! 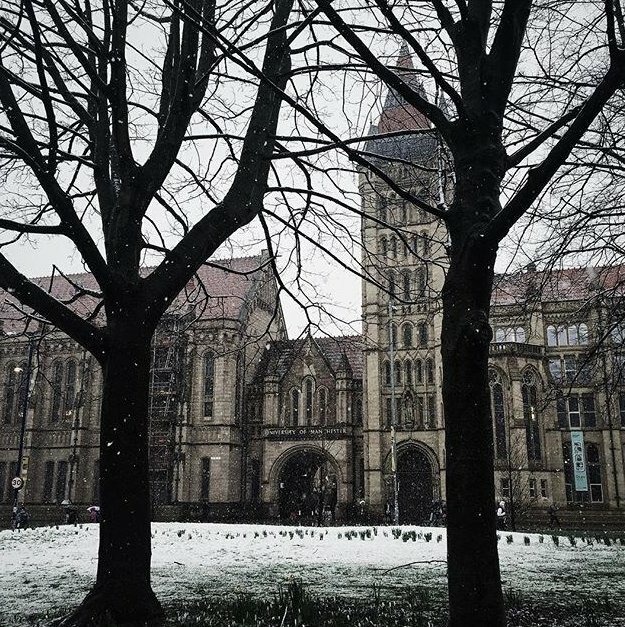 We had an unexpected surprise today in Manchester with the arrival of snow! Initially confused by our city’s initially pleasant but ultimately wet and slushy day, I’ve now come to the conclusion that the weather is getting revenge on my fellow blogger Veneta, who predicted Spring’s arrival in her last blog post. Credit goes to the @OfficialUOM twitter account for this picture! Furthermore, I’m putting the finishing touches to my final year project, which is now working and giving me the results that I expected! The project involves trying to speed up Text Mining algorithms (specifically training Brill’s part of speech tagging algorithm) using parallelization. To do this, I wrote single and multi-threaded implementations of the algorithms, as well as a version targeted for execution on a GPU in a massively parallel manner. Here are some preliminary results from my project. 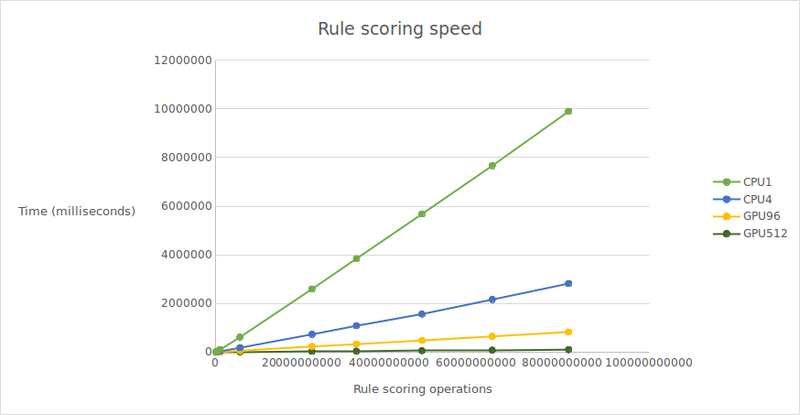 The x-axis shows the number of operations performed, and the y-axis indicates how long it took to perform them all. Take a look at the light-green line, which is the single-threaded version of my implementation. Then look at the dark-green line; this is the version running on 512 GPU cores, it’s super fast! Outside of my third year project, uni work is going super well! The courses I’ve taken this semester are so interesting that they sometimes border on addictive, especially Advanced Algorithms II and An Introduction to Current Topics in Biology. It’s miles easier to apply yourself and do work if you enjoy what you’re doing. So, as you can see, it’s been a successful few weeks since I last posted. Now I need to start writing my dissertation! I decided not to include any heavy CS-stuff in this post, but I intend to write about genetic algorithms in the next one, so stay tuned!